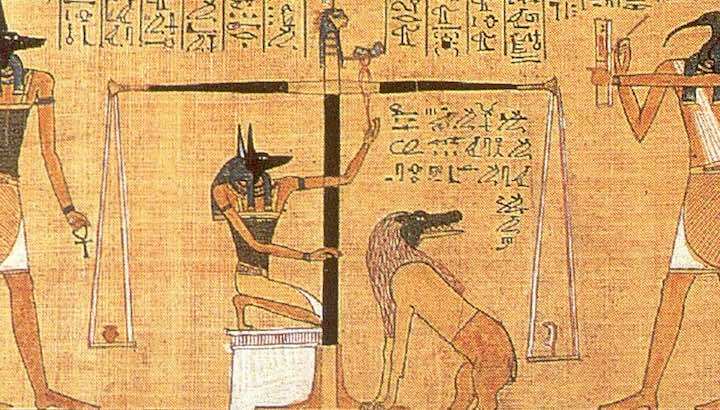 This scene from the Egyptian Book of the Dead (c 1275 BCE), shows the dead scribe Hunefer’s heart being weighed by the canine-headed Anubis on the scale of Maat. The ibis-headed Thoth, scribe of the gods, records the result. If his heart is lighter than the feather of truth, Hunefer is allowed to pass into the afterlife. If not, he is eaten by the crocodile-headed Ammit. Photo from Wikipedia (public domain). The idea of hell, a place of punishment in the afterlife, is a part of traditional Christianity and Islam, yet is rejected by some christians and reviled by most non-believers. It isn’t a pleasant thought, and I don’t recall ever discussing it in any detail on this website before. But for some people it is such a barrier to believing in a loving God that I felt I must address it. Where did the idea come from? And is it an essential part of christianity? Justice in this world and the next? The word hell has a Germanic origin, appearing in such languages as Norse and Anglo Saxon. It referred to the place of the dead, an underworld, and sometimes as a place of punishment and suffering for evildoers. Most religions have a similar concept of an afterlife in an underworld, either the same for all people (as in ancient Sumerian belief), or more commonly with rewards and punishments based on the merits, or otherwise, of each life (as, for example, in ancient Egypt, as pictured above). We can see the attraction of this idea, at least for those who have lived a hard life with suffering caused by the wealthy and powerful – they may be downtrodden in this life, but the pecking order will be reversed in the next world. The Jewish scriptures refer to Sheol, meaning the state of death, or “the grave”, but it was often seen as being a shadowy underworld where people still existed in some form. However in the couple of centuries before Jesus, Jewish thinking evolved to think there was a place of either (1) purging before entering into life in the age to come, or (2) a place where evildoers were judged and their lives forfeited, or sometimes (3) a place of ongoing punishment of evildoers, while the righteous entered straight into the glorious life in the age to come. The place where this happened was sometimes referred to as Ge Hinnom, actually the name of a valley outside of Jerusalem where refuse was burnt. Jesus used the phrase Ge Hinnom (the Greek of the New Testament is Ge’enna) when talking about God’s judgment, and it is usually translated as “hell”. He seemed to use the term in sense (2), as a place of judgment and destruction rather than ongoing suffering. The rest of the New Testament says nothing about Ge’enna. The early christians generally followed Jesus’ example and, if they talked about hell at all, most often spoke of it as an end of life rather than punishment. But weren’t very explicit about it. Apparently under the influence of Greek philosophy of an immortal soul that couldn’t be destroyed at death, plus some pagan religious ideas, the idea was developed of hell as a punishment that would go on forever. It became mainstream in the church based on Augustine’s teachings around 400 CE, and has been the main doctrine in both Protestant and Catholic theology since then. Painters and preachers have at times in church history painted a lurid and fearful picture of hell, and “fire and brimstone” preachers have used it as an effective means of scaring people into obedience to the christian faith. The concept of hell has moderated in modern times, for several reasons. Modern conservative Protestants and Catholic still generally believe in hell as a place of ongoing punishment for sin and unbelief, with the doctrine often now defined as “eternal conscious torment”. But the days of fire and brimstone preaching are, mostly and thankfully, over. “universalism”, where hell is a place of temporary purging, or of short term existence until the person is repentant and seeks God’s forgiveness, but eventually all will be won over by God’s love and receive eternal life. Meanwhile, the growing number of sceptics and non-believers in previously “christian” countries, influenced no doubt by a scientific understanding of the world and death, but also by a growing sense of humanity, now scorn the idea of hell. They don’t believe it exists, because they don’t believe in an afterlife or in God, and they would find it difficult to believe in a God whose punishment was so harsh that he penalises even a lifetime of unbelief and sin with an eternity of punishment. So the idea of hell has come almost full circle. From an expectation that death was the end, through the idea of justice in the next world, hell reached its peak as a scary place of fire and torment somewhere around the Middle Ages, and is now in decline as an idea. I don’t think it is a moment too soon. I have examined the philosophical, ethical and Biblical aspects of hell in Does hell make it impossible to believe in God?. You can find a number of references there. « An ultimate explanation for everything?